What is the difference between a Guest House and the Lodge or Villas? 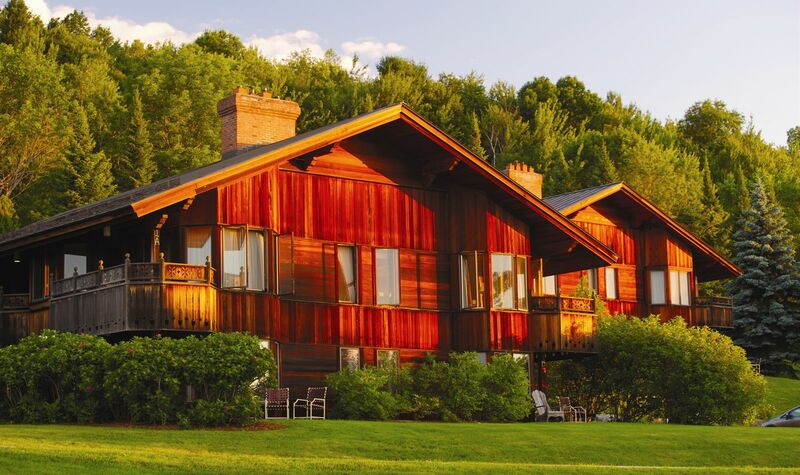 The Trapp Family Lodge Guest Houses are privately owned timeshare units (one- or two-week ownership is the most common). The Lodge is a 96-room hotel. The Villas are luxury fractional ownership homes. The Guest Houses and Villas enjoy full use of the lodge amenities and facilities. Do the Guest Houses offer deeded ownership? Owners have deeded ownership as a co-op, which can be passed on from generation to generation. Do you offer resales, and how is this different from developer sales? Yes, we have been offering resales for over 20 years, and have one of the most successful resale programs in the industry. A proven resale program is very important to consider when purchasing, and resale can offer outstanding value. Prices are not inflated with the same cost as most developer sales. How many bedrooms does a Guest House have and how many do they sleep? Two bedrooms. The master bedroom has a queen-size bed, the second bedroom has two single beds, and the living room has a queen-size sleeper sofa. They will easily accommodate six people. Is there a fireplace in the Guest House? All Guest Houses have a wood stove. Firewood with fire starter is provided. Is there an indoor pool and fitness center? Yes, we have a beautiful Fitness Center with indoor pool. There are designated adult and family swim times. The fitness center includes a well-equipped gym and a 24-person outdoor hot tub. Can we use the other amenities? Yes, there are 2,500 acres to explore, and you have use of the cross-country ski and snowshoe trails. Mountain bike trails are available as well. Check with the Outdoor Activity Center for more details. Do we need to bring kitchen utensils? No. The Guest Houses have fully equipped kitchens, which include a stove/oven, refrigerator, dishwasher and dishwashing detergent, microwave, coffeemaker with filters, cooking and eating utensils for six, paper towels, toilet tissue, dish soap, and salt and pepper. No. The Guest Houses have towels and linens for six, with a midweek linen exchange. What is the square footage of the Guest Houses? How many bathrooms are in the Guest Houses? Two full baths, one of which is in the master bedroom. Do the Guest Houses have DVD players and Internet service? Yes, they have DVDs/VCRs & wireless internet service. Do the Guest Houses have a washer and dryer? No, but there are coin-operated washers and dryers in the Laundry Building near the Guest Houses.